Speaking of patience. The plan was to wait till all my pieces for my boutique were in check and the website looked perfect, but this is something that has been on my heart for a while so I feel like I’ve biiiin waiting, but realistically it’s only been a couple of months since I actually started working on it. 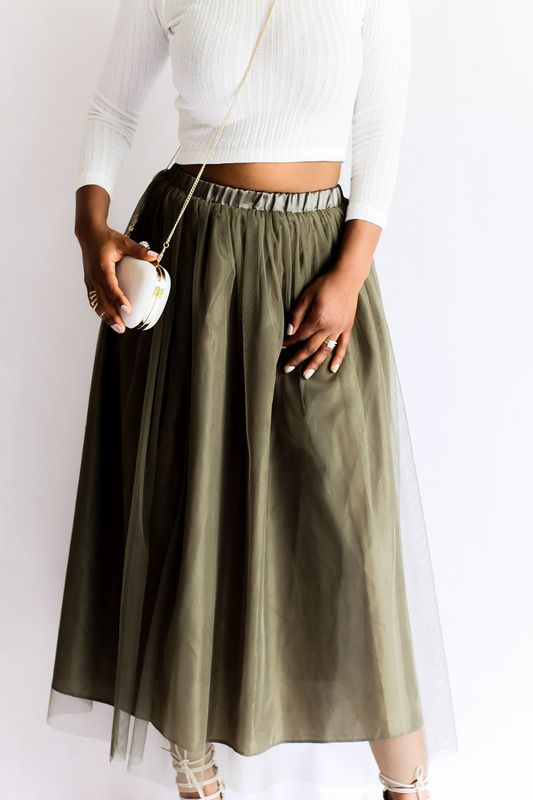 So instead of waiting till it’s absolutely perfect I’ve decided I’m going to start showing you a few of my fav pieces from the store like this Tulle skirt. 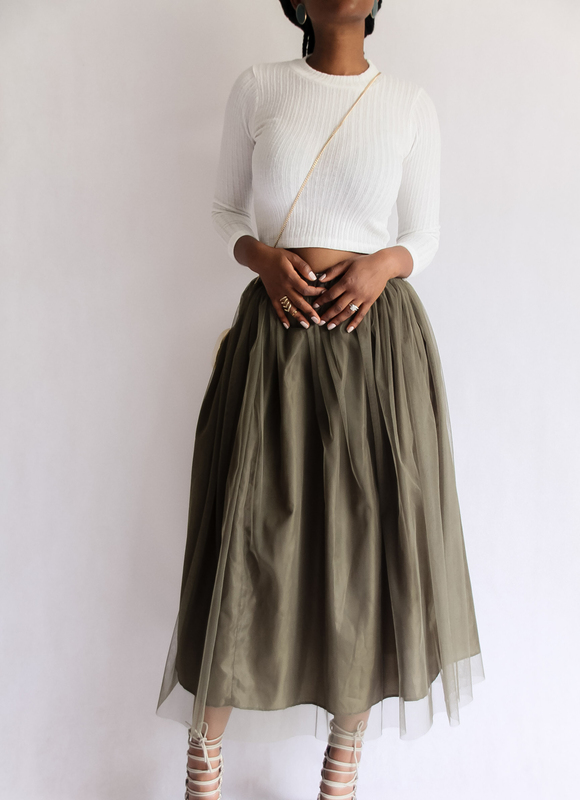 I feel like the tulle skirt deserves to be inducted into the “classics” hall of fame. It will never get old. 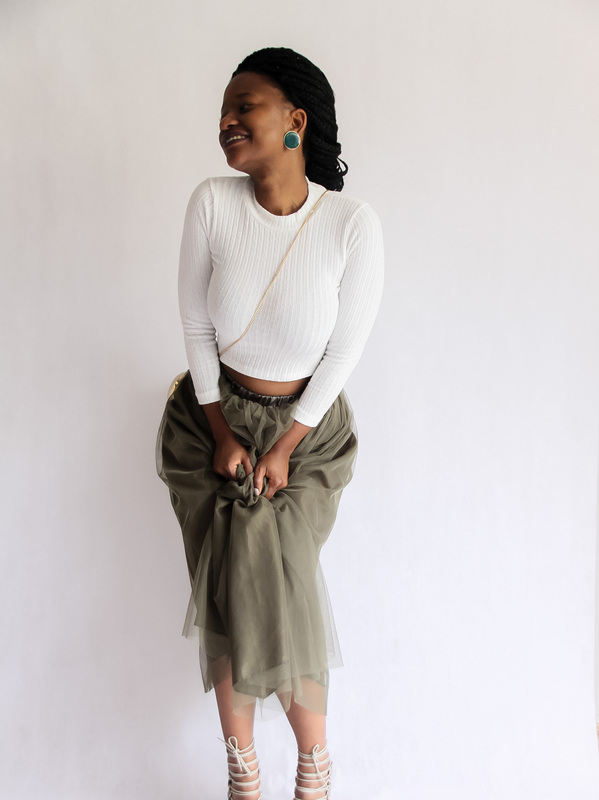 I’ve paired it with a leather jacket and some lace up heels, to give it a little bit of edge, nothing says YOU GOT THIS like an army green and black combo. I love the skirt. Wow You are definately a fashionista who can do it all. 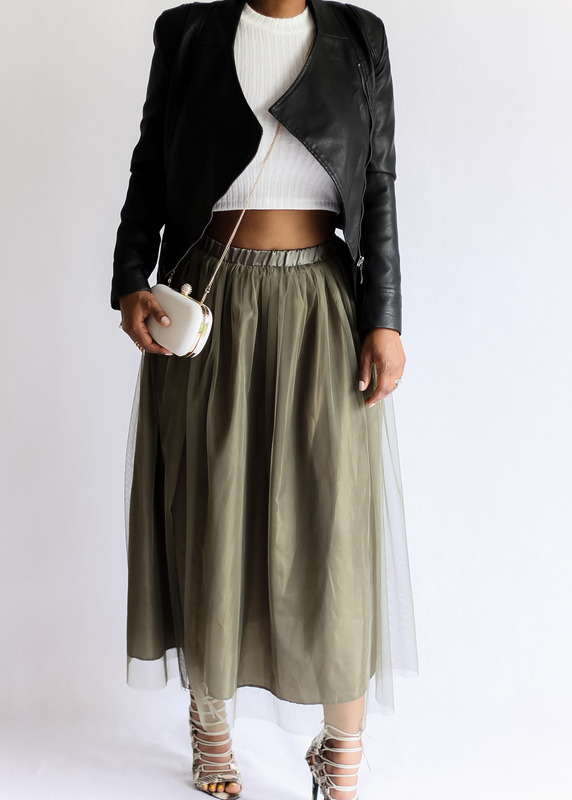 The tulle skirt with leather-elagance…love it. 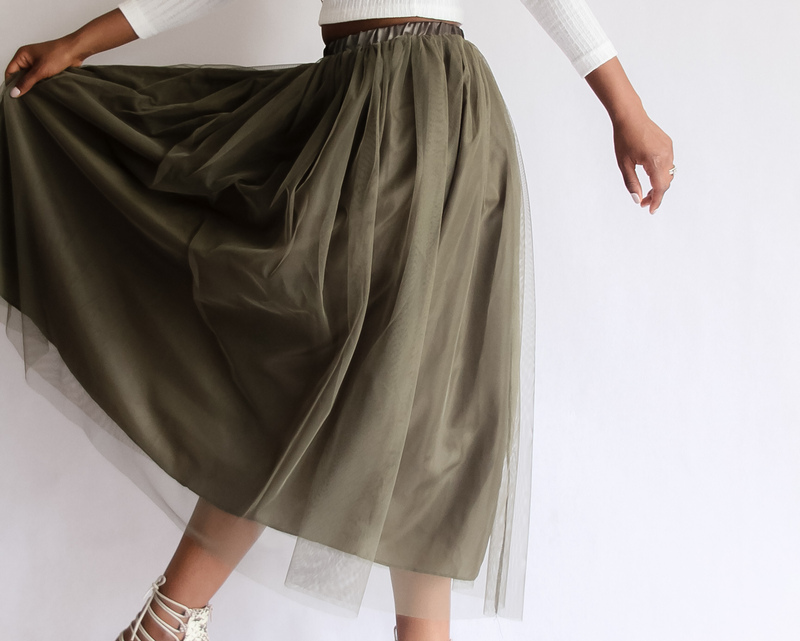 Can’t go wrong with a Tulle skirt AND green is my favourite colour = 💚 . Hang in there, patience wise. Trust in God’s perfect timing. Thanks Vimbai! I really do need to hang in there. What a struggle tho! Great to see you thriving under pressure. Love the style. Well done. Bapa. Oh…and does it also come in white? You better be shipping international Mati!! Don’t make me get on a plane!! LOVE IT! I love this look. Can’t wait to get shopping, I’ve biiiiin dying for a tulle skirt! Whoohooo! I’ll put them onto the site this weekend hopefully , otherwise email me your add and we can PayPal and post !